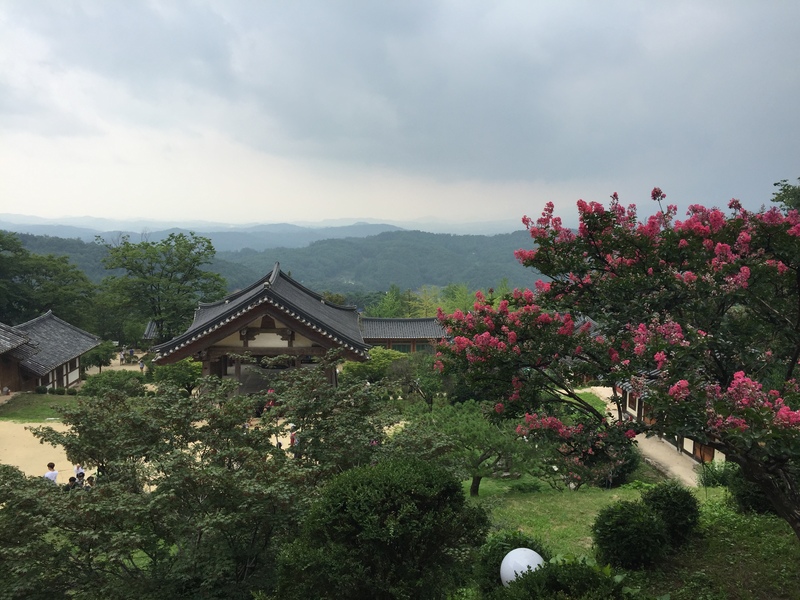 Last month I had the pleasure to revisit my second home – South Korea. 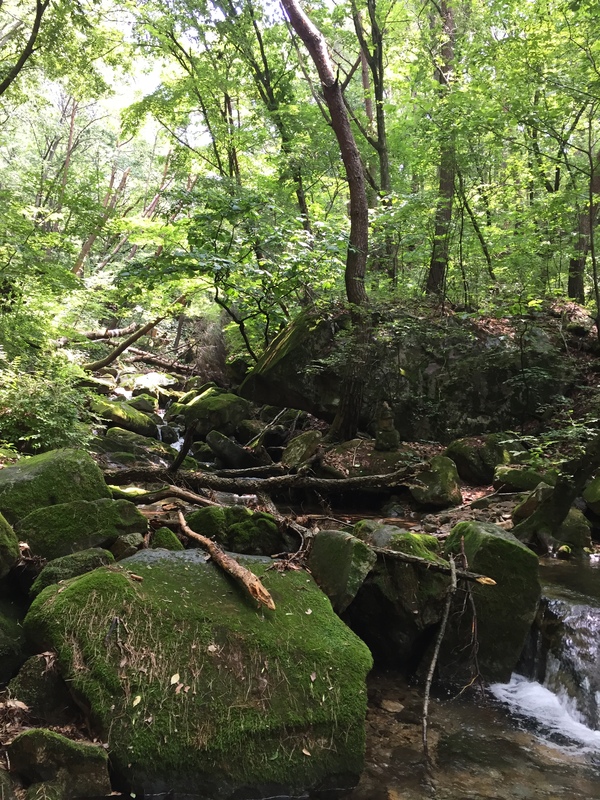 I had limited time but I had one request – let’s go see nature. 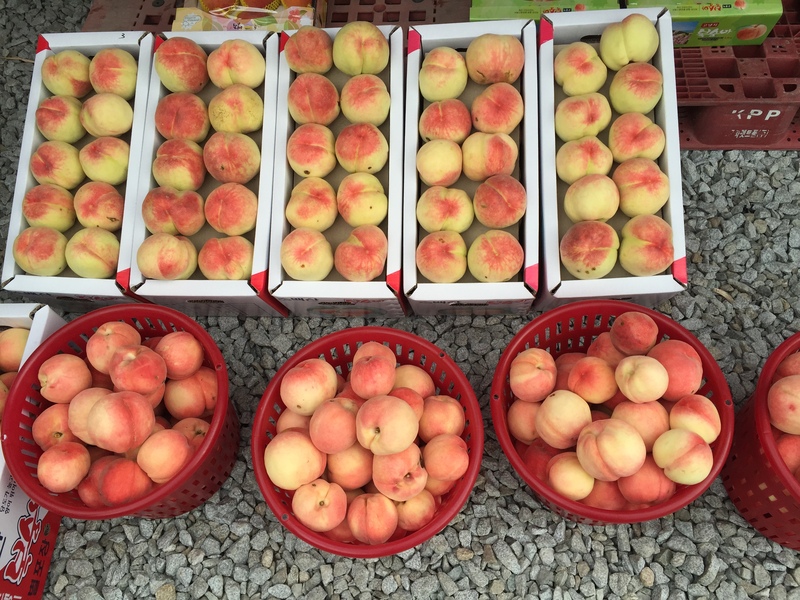 That is how we went on the road to drive down to Chungju area. You can reach this area if you drive few hours down south. 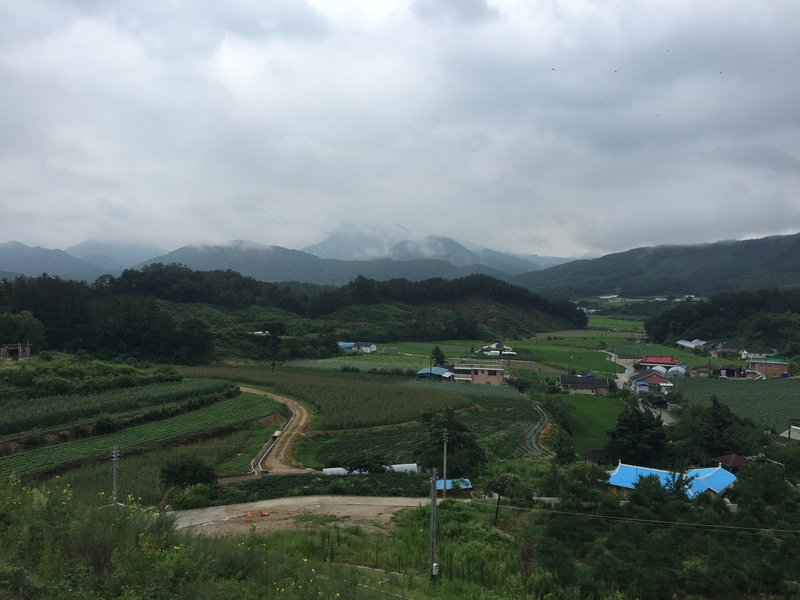 A unique aspect of South Korea landscape is that it is very mountainy. And every angle is beautiful and scenic. This first image is taken from our way down the highway. We loved the scene so much that we found a quick place to stop to take a picture of this view. Dazzling under the hazy fog. You suddenly find yourself gapping in front of mother nature. Stunned by its natural beauty. 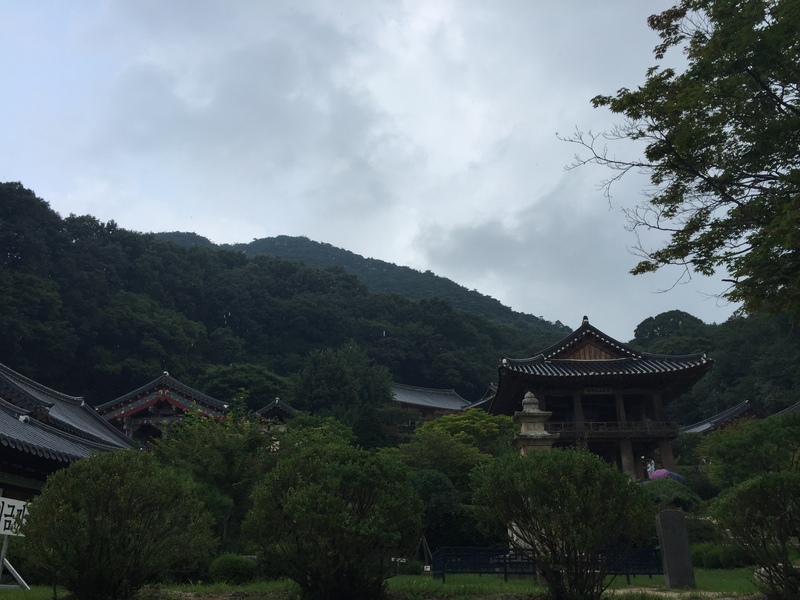 During this trip, we also made a visit to one of the oldest wooden temple. 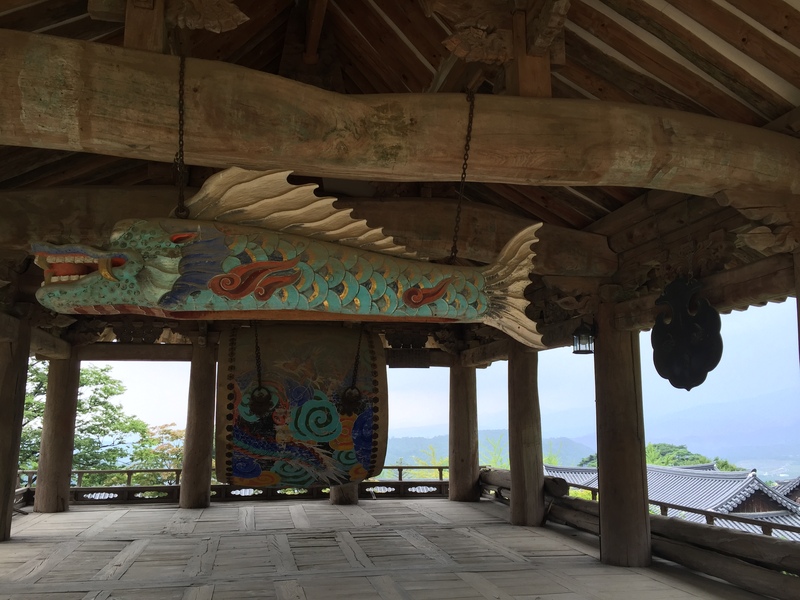 After a 2 mile walk up the mountain, you will find yourself walking up this beautiful wooden temple. It looks small but it’s quite larger than you originally think. The best view is saved for last. When you go all the way up and turn around you will find yourselves surrounded by beautiful temple. Unfortunately the day I went there was full of fog so I didn’t get to see too much, but I still got a good glance of the beautiful scenery. 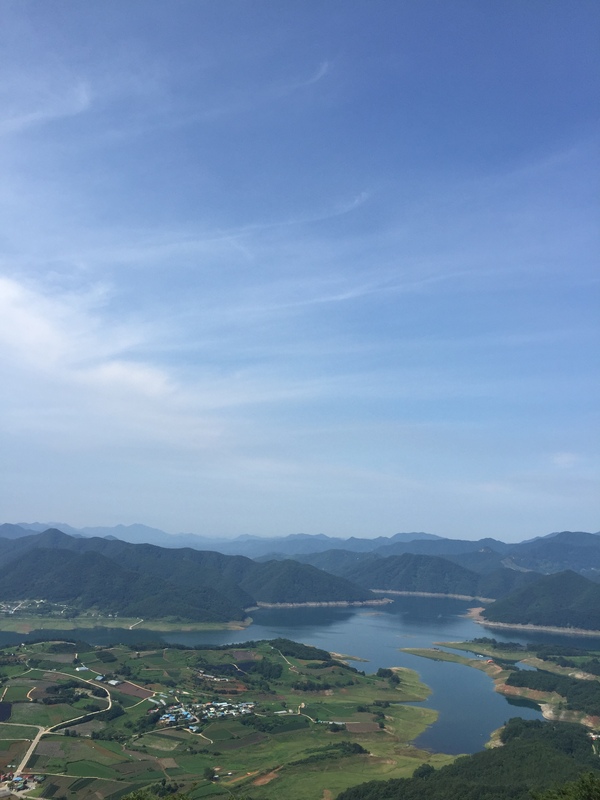 At least the next day, we greeted beautiful wether and was able to use the cable car to go up the mountains to see the entire Chungju area’s scenery. This is stunning and amazing. 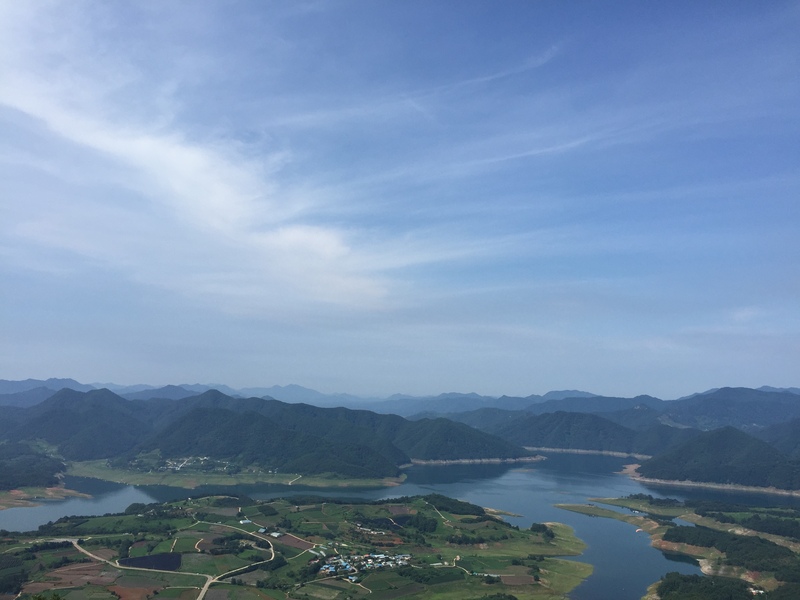 Not just because of the beauty you see in front of your eyes but also because this lake was nonexistence few decades ago. 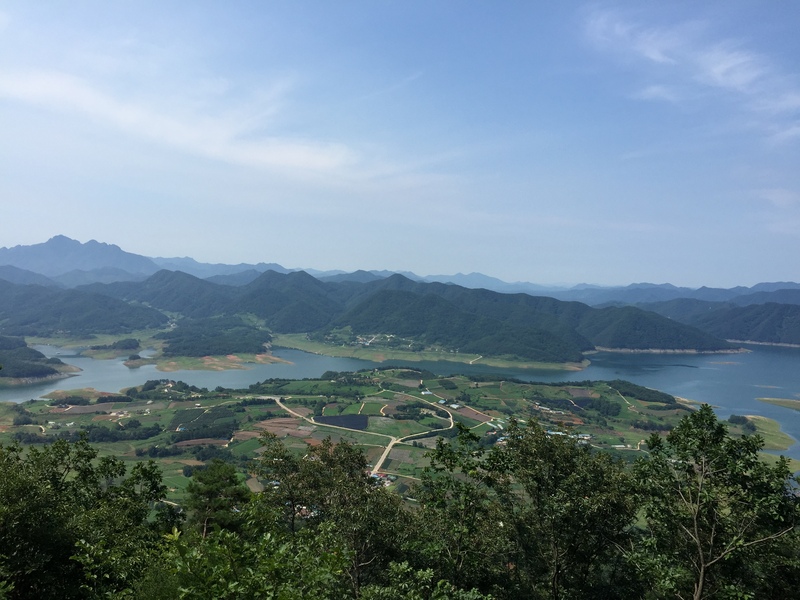 It only emerged as a result of the dam that was created under the Park Chung Hee area, I believe. Curious? It’s time for you to scroll down and get a glimpse of what I discovered on this trip. All photos taken from iPhone6. Great to e-meet you and welcome to my second home, Korea! 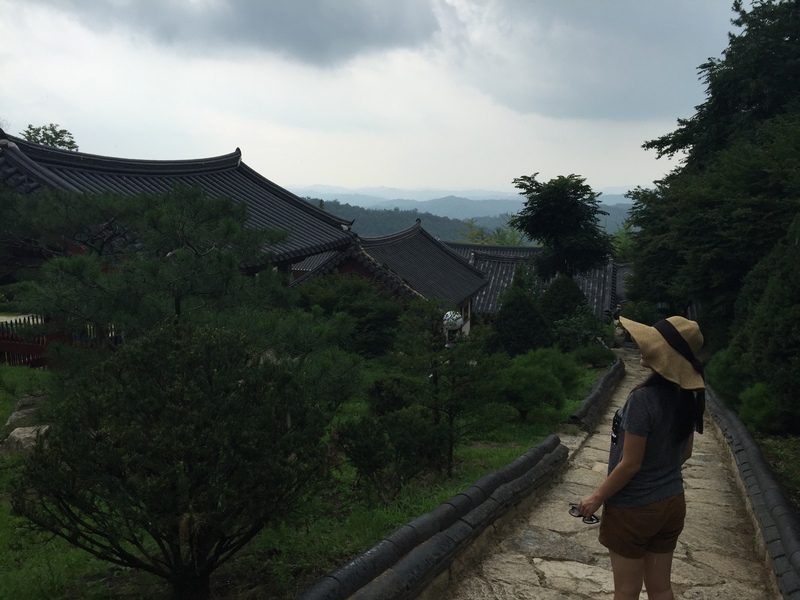 If you have some free time, I hope you get to explore other regions such as Chungju. Unfortunately the best way to get here is via car, so I hope you have a friend to hop on a ride to explore this area. 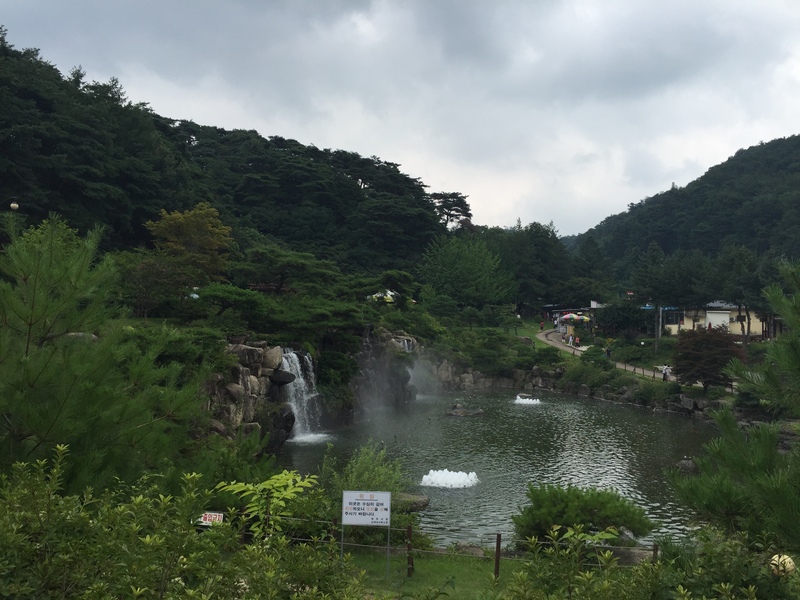 Worth a weekend trip from Seoul if you are based there. Hope you enjoy your time in Korea!